A typical holiday on Mayan Riviera means beach time, relaxing in the sun and water related activities. But some history lessons can easily be added to your vacation. 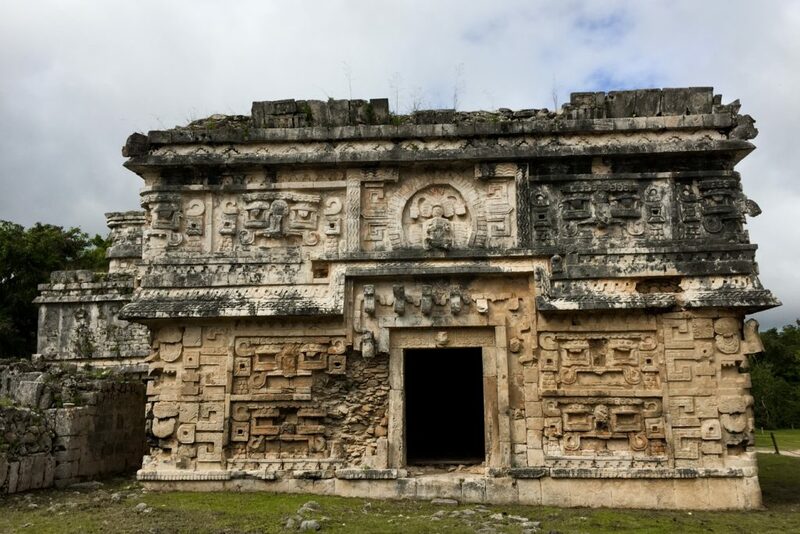 Yucatan peninsula hosts impressive ruins from the Mayan times. It would be a shame to be so close and not visit at least some of them. 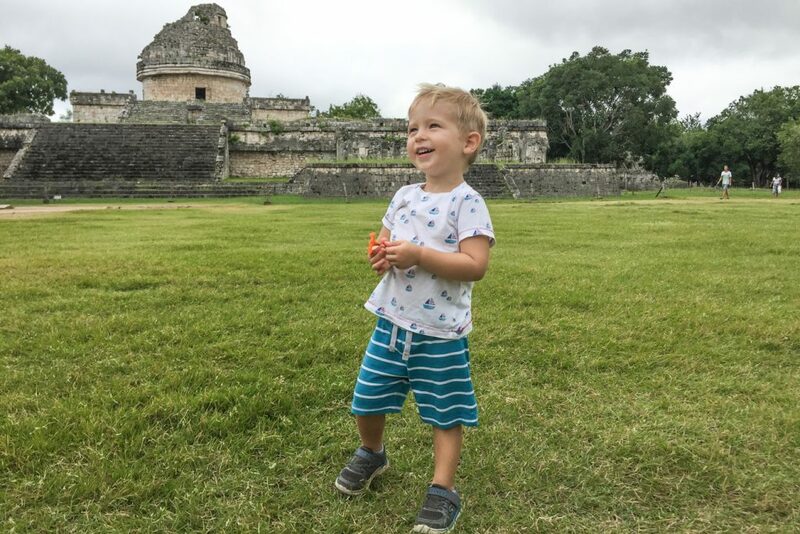 We managed to visit three different sites during our trip to Mexico with a toddler. 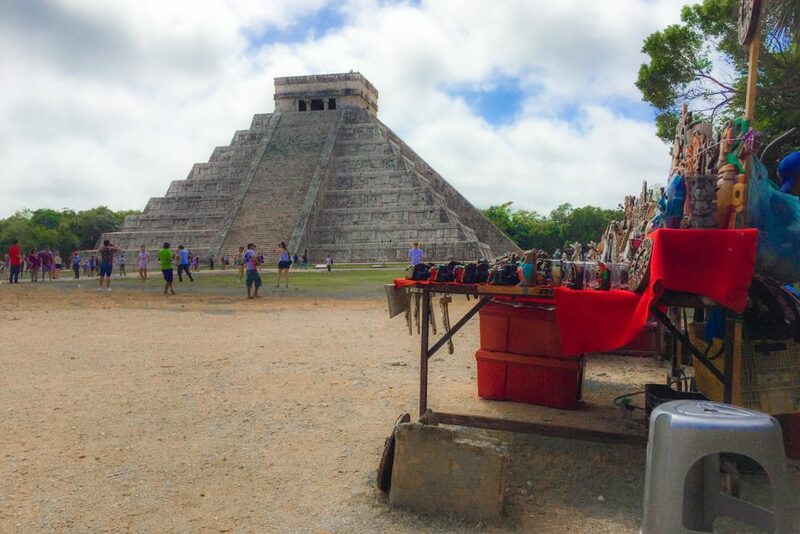 One of the most visited sites in Mexico, Chichen Itza is a must see if you are in Yucatan. Since it is about 2 hours away from the coast and gets quite crowded and hot around noon time, we decided to make a longer trip to the area. 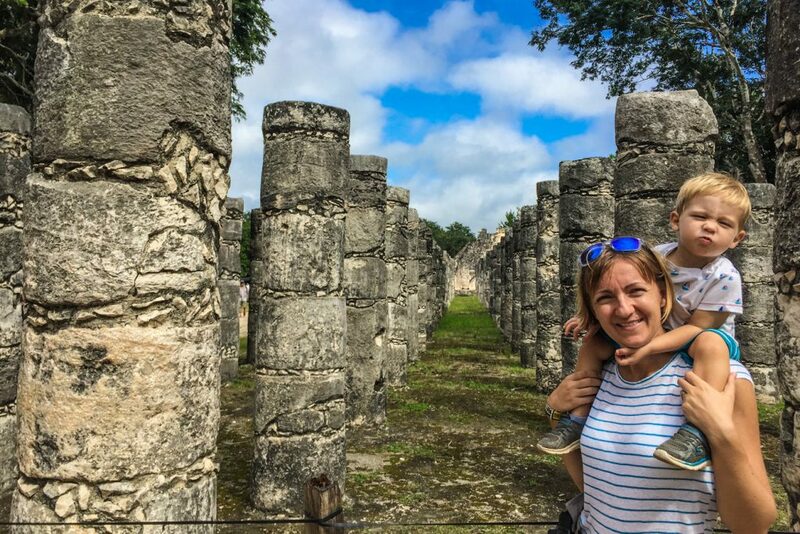 We spent the night at Hotel Okaan, just 10 minutes away, and drove to the Mayan ruins early morning. This way we could end our visit by 11:30, when it got really crowded; the parking lot was almost empty at 8:15 when we arrived and full of tour busses by the time we left. 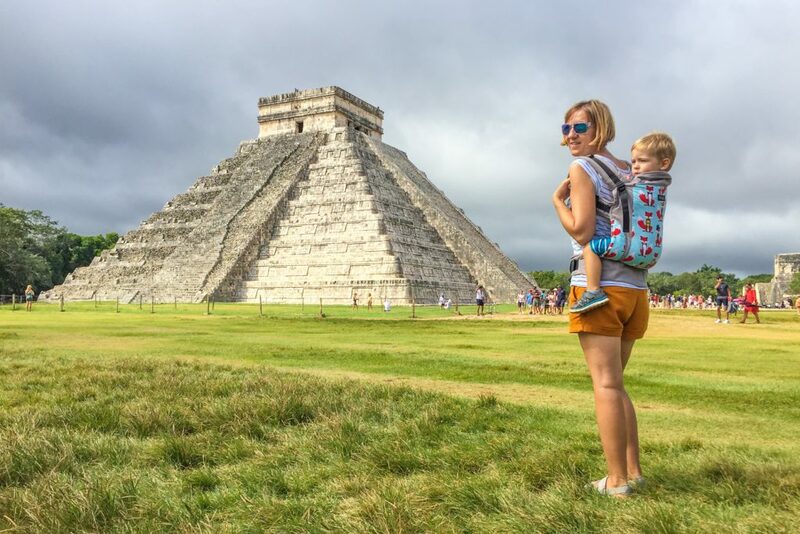 It is also better to visit when the sun is not annoyingly hot, especially if you visit Chichen Itza with a toddler. Part of UNESCO World Heritage, the whole archeological site is impressive. 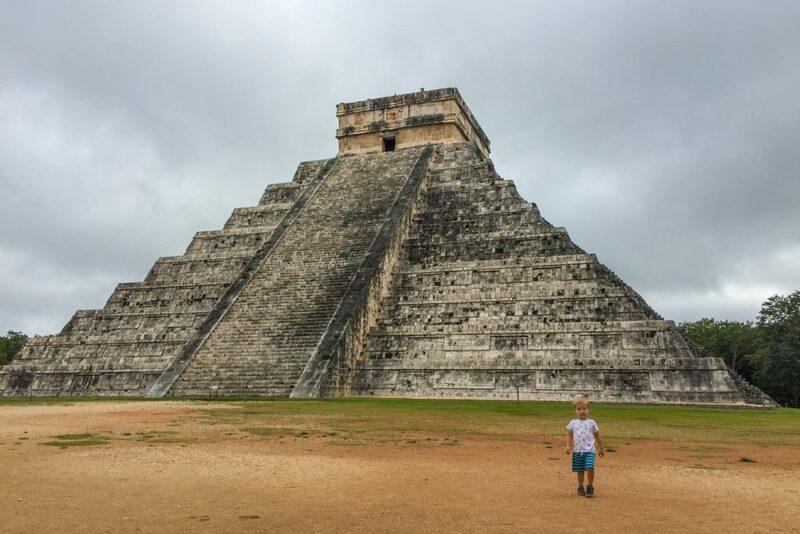 Even Eric was amazed by the pyramid of Kukulkan, and asked me for a few days to explain him “what’s that a pyramid?”. Unfortunately, the whole area is flooded with souvenir vendors. Most of the offer is represented by kitsch replicas of the Mayan symbols. But you can see also Christian saints statues, animal sculptures, colourful clothing and jewellery. 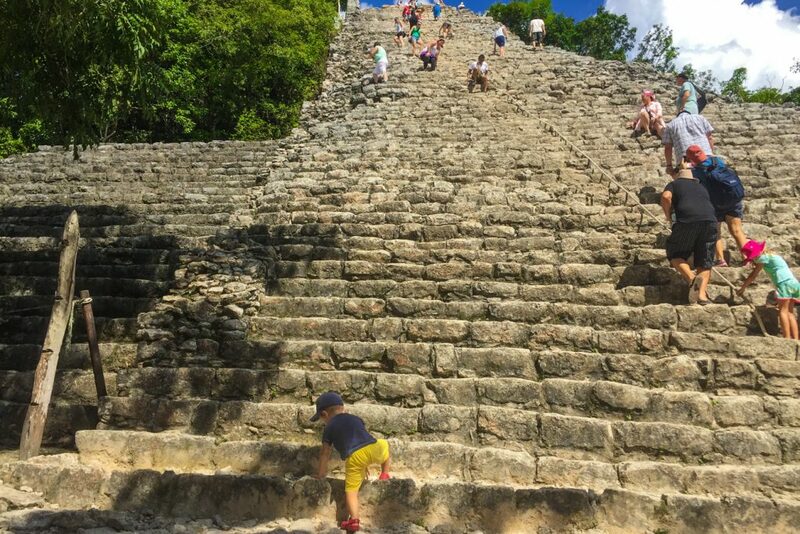 They all seem to be coming from a different story than the one we paid tickets to see at Chichen Itza and almost completely compromise the feeling and the authenticity of the site. I truly consider the authorities should take measures to diminish this commercial frenzy inside the archeological site. It is the first location of its kind that we visit which almost turned into a souvenir market. Top tip: Go early morning, to avoid the crowds and the heat! 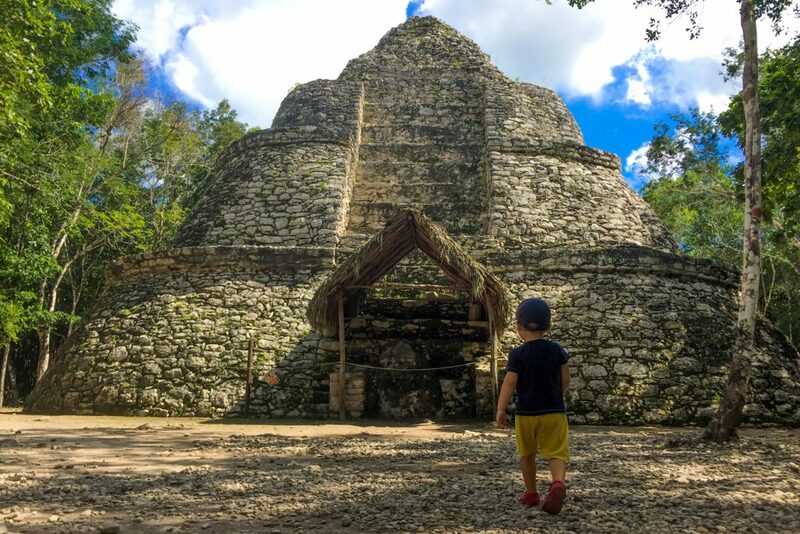 No so well known as other Mayan sites in the Yucatan peninsula, Coba is more remote and not yet over-touristic. Which is why we enjoyed it a lot! 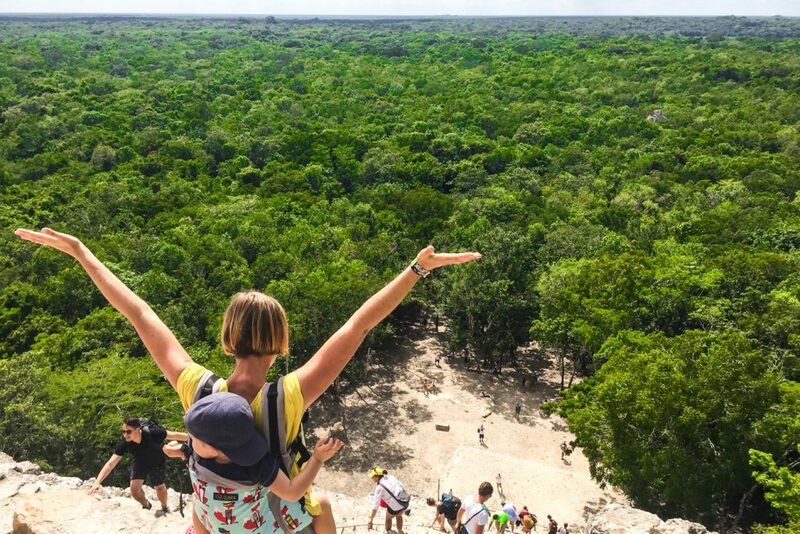 Probably it is also the reason why you are still allowed to climb on Nohoch Mul pyramid, the main temple in Coba. 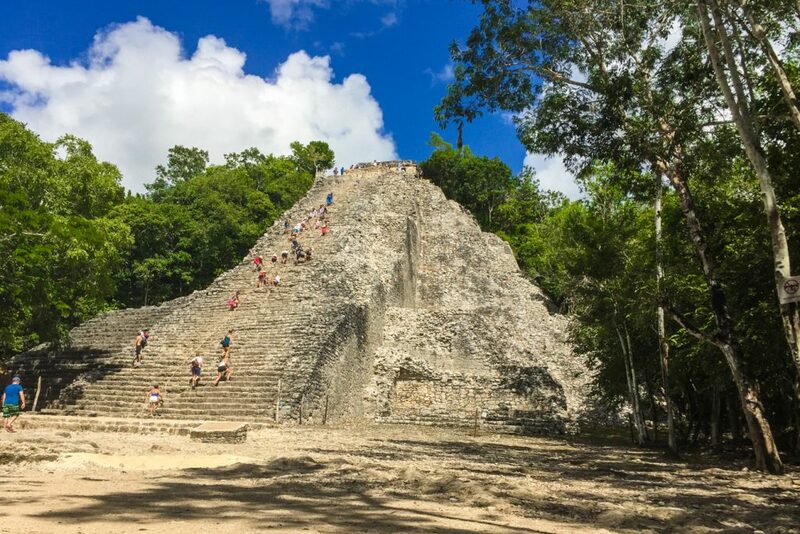 42 meters tall, this one of the tallest Mayan pyramids. It is quite an adventure to climb the 130 stairs to reach the top; they are very steep and a bit slippery too. Make sure you have plenty of water, the sun seems to burn even more on the top of the pyramid. I was carrying Eric in the Isara baby carrier and the climb literally left me breathless. The descent is even more challenging, as it is very steep. But it is totally worth the view. The site is surrounded by jungle and lakes; some even say there still are ruins hidden in the lush vegetation, not yet fully explored. The whole site is quite big. You can walk through the jungle from one complex to another, but it is better to take a bike or a tricycle taxi. You’ll enjoy it much more! Top tip: Rent a bike for 50 pesos or get a tricycle taxi for 125 pesos, it is quite a long walk (over 2 km) to the main temple and you will need your energy to climb the pyramid! 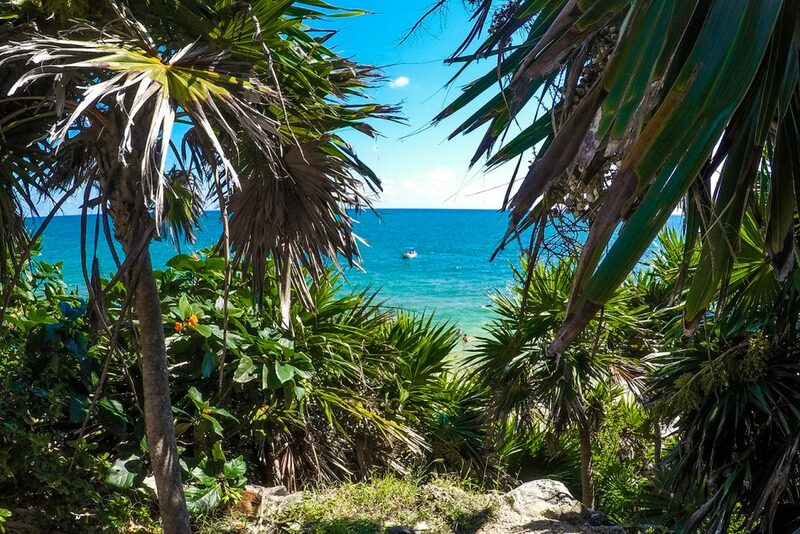 The only Mayan archeological site on the Caribbean coast, Tulum has a different charm. Even though the ruins are not that spectacular, the location itself is amazing. What else you might want, when you can visit a centuries old temple facing the blue-turquoise waters. After you visit the site, you can also access the beach for a refreshing swim. It was a bit crowded for our taste, but still nice to spend there an hour or so. There is also a small beach where access is not allowed, since it is home for turtles and they lay their eggs there! Since Tulum is a very touristic spot, right on the Mayan Rivera, you must be careful at all kind of small touristic scams. If you are driving there, don’t stop at the first point where some guys offer you a parking spot and try to convince you about “the best views” tour offers. They are overpriced or not worth the money. Head straight to the main parking, where there is the touristic info point. They are very professional and polite and will explain you how to get around. Make sure you have some water with you and buy at the entrance, there’s no commercial activity inside the archeological site. Top tip: Don’t get fooled by the parking guys trying to sell you tickets and tours; head to the main parking and ask for guidance at the touristic info point. 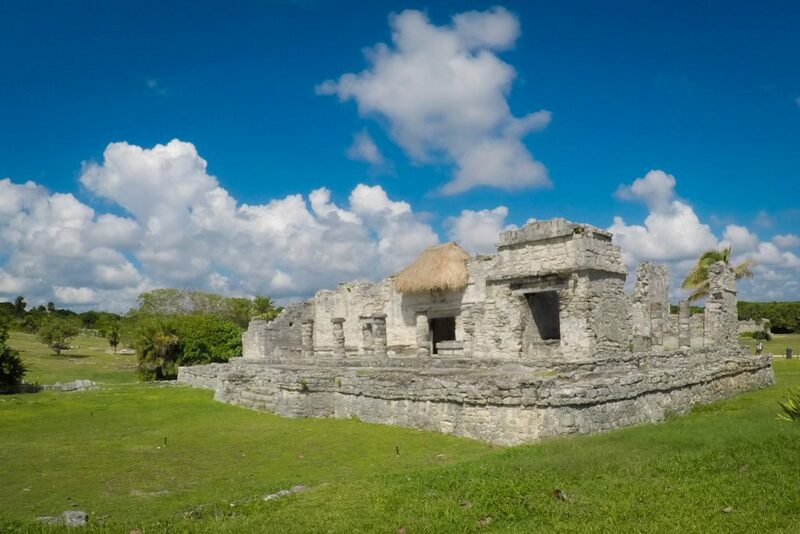 We rented a car and visited all three mentioned sites during our stay on the Riviera Maya. There are lots of tours organised by various companies. Still, we prefer to arrange the trips by ourselves whenever possible. 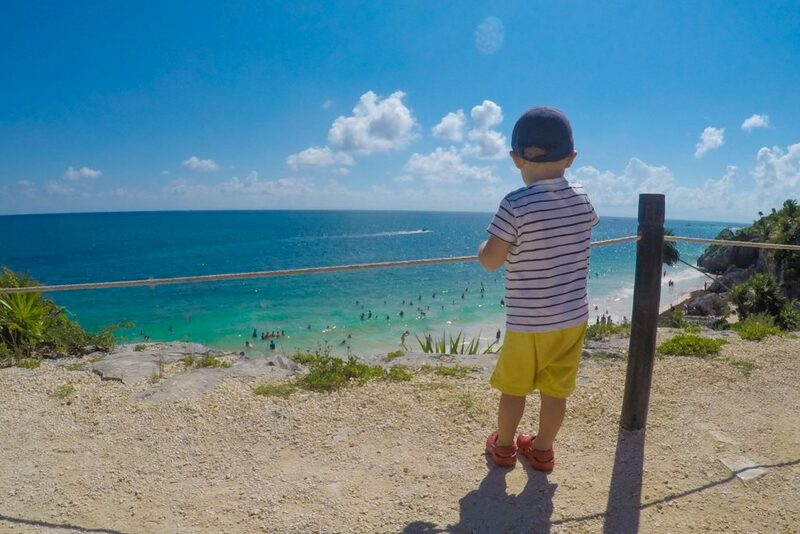 We went to Tulum one morning, spending the rest of the day at cenotes. Next day we visited Coba, on our way to Hotel Okaan, and drove to Chichen Itza the next morning. 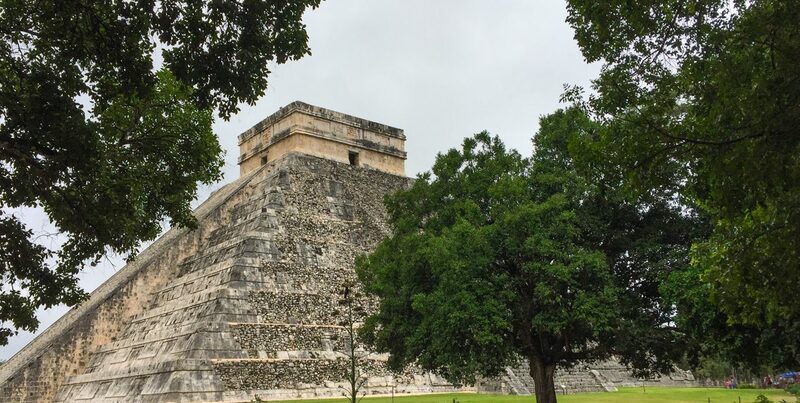 Since Chichen Itza is quite far from the coast and requires at least 2 hours drive to get there, we decided to spend the night somewhere nearby. 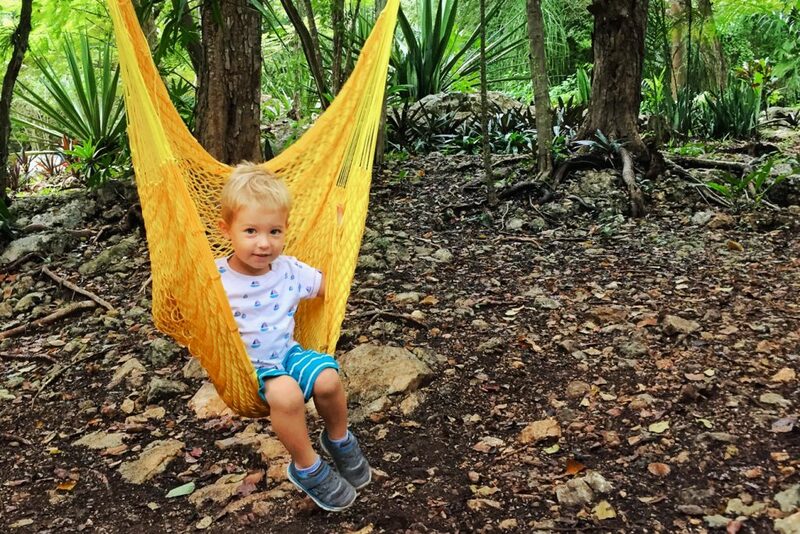 We were visiting the Mayan ruins with a toddler, and we needed to make sure he won’t get overtired after spending too much time on the road in one day. Also, it is much better to explore the archeological site early morning, to avoid the crowds and the midday heat. 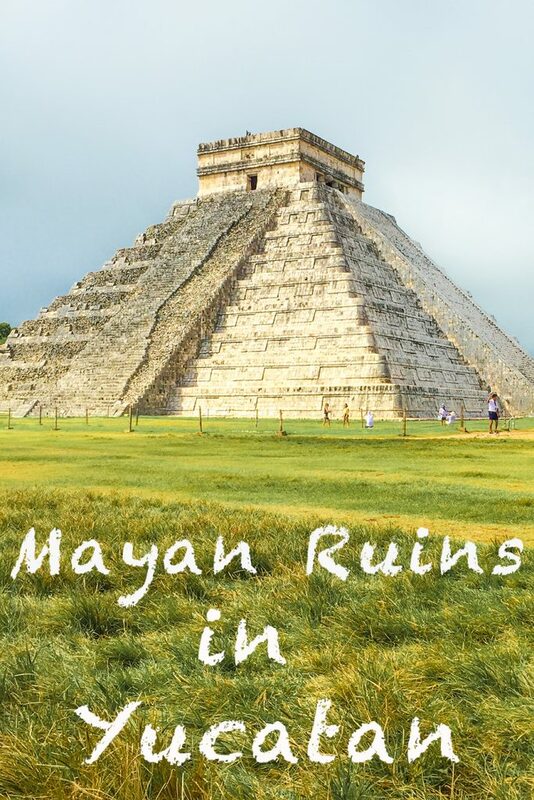 We spent 2 nights at Hotel Okaan, 10 minutes away from Chichen Itza. In the middle of the jungle, Hotel Okaan is a oasis of calm and tranquility, much needed after the constant touristic bustle from the coast. The bungalows are huge, very nicely arranged and offer you a very relaxing stay. 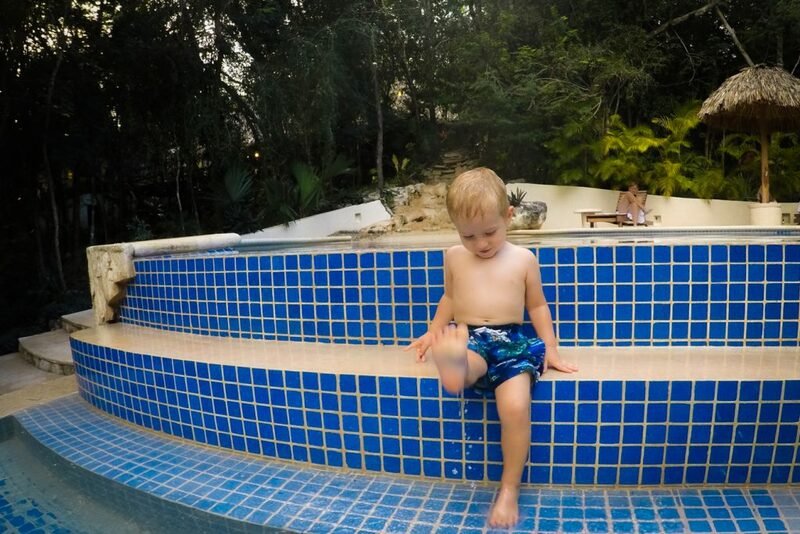 We were able visit Chichen Itza early morning and then relaxed by the pool the whole afternoon. 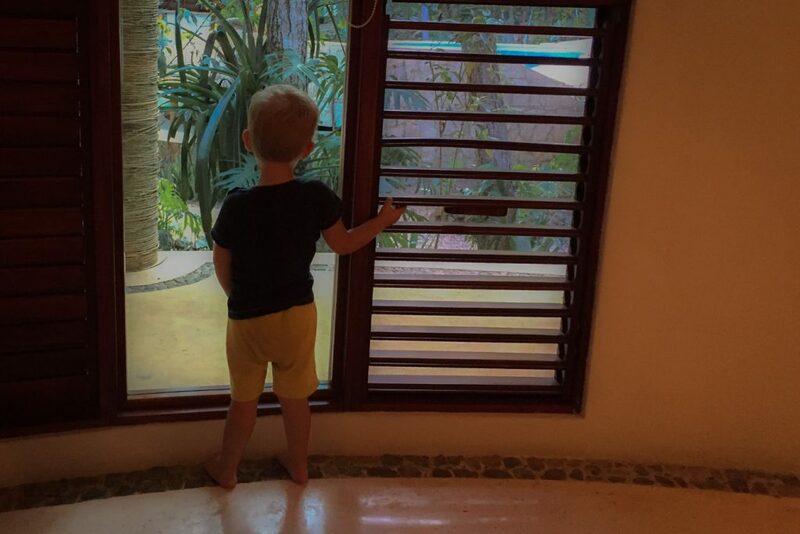 Surrounded by lush vegetation, we could observe all kinds of bugs, snakes or lizards around the property. But nothing disturbed our stay here! The rooms are very well insulated and we didn’t even got any mosquito bites, even though we spent the evening on the terrace. Disclosure: We were the guests of Hotel Okaan during our stay. All the opinions expressed here are our own. I never made it to Chichen Itza, but I did enjoy Tulum and Coba. Probably my favourite was Tikal in Guatemala though!